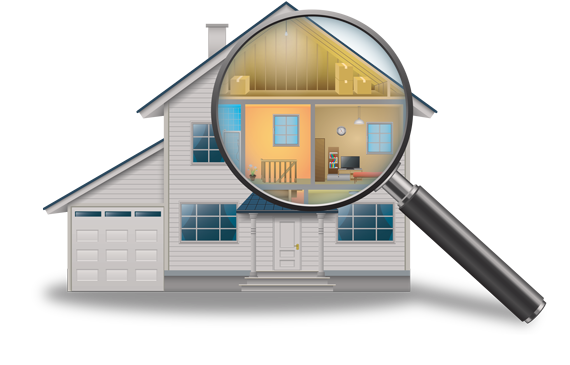 At Assurance Home Services, all of our home inspection services abide by the Standard(s) of Practice as stated by ASHI, InterNACHI, the state of North Carolina, and the state of South Carolina (ASHI Standard). During the inspection, we complete a non-invasive walk-through of the home to assess its current condition, repair needs, operation, and maintenance requirements. We use a Moisture Meter and a Gas Leak Detector as needed during inspections. During a Buyer’s Inspection, we help prospective buyers fully understand a property’s current condition and repair needs so they can avoid being surprised by post-purchase repair expenses. Purchasing a home is a huge decision, and a professional and thorough inspection can give you the confidence you need to move forward. A home inspection can be just as beneficial for home sellers as for buyers. During a Pre-Listing Inspection, we help sellers understand their home’s condition so they can make desired repairs and disclose information honestly to potential buyers. Before the final walk-through with the builder, a newly constructed home should be inspected to ensure that it is move-in ready. During the New Construction Inspection, we search for any defects in construction, including those that can often go overlooked. Many new homes come with a 12-month warranty from the builder that protects the owner from having to pay for defects in construction. During the 11th Month Warranty Inspection, we search the home for covered defects so that owners know what repairs to request in the final month. After a Buyer’s Inspection, buyer and seller will come to agreements about what repairs need to be made before closing. After repairs are made, a Re-Inspection can be scheduled. During this second inspection, we check that all agreements were honored and that repairs are completed. We recommend that homeowners have their homes inspected for maintenance purposes either annually or biannually. During Maintenance Inspections, we assess the home to help owners understand what needs special attention over the next year and help them avoid small issues becoming larger, more expensive problems. Radon is a toxic gas that naturally occurs in soil and can rise into a home, becoming trapped. Exposure to radon causes lung cancer, but it cannot be seen, smelled, or tested, so professional testing is required. We use a continuous radon monitor to measure levels in the home.